Dynamics Telephony is verified as compatible with Gamma Horizon Hosted Phone System. You will need the Horizon Client username and password for each PC. You may get these in your email with the install link. You can skip “Step 1 – Options” in the install guide above and go to Step 2 – Username and password. You can test the install using the Windows Dialer application that is on every PC. More details in the install guide referenced above. Our integration of Dynamics CRM and Asterisk Queues uses a single connection to your Asterisk Server. This connection ensures minimal load on your asterisk while providing a reliable and auto-reconnecting link for the Dynamics Telephony clients. This is an optional module for Dynamics Telephony. A Windows server is required for this proxied connection – VMs are supported. The real-time statistics are updated ever 10 seconds – configurable. DT Clients can be running on local network, or remote through a firewall. Remote Desktop, Terminal Services and Citrix are also supported. 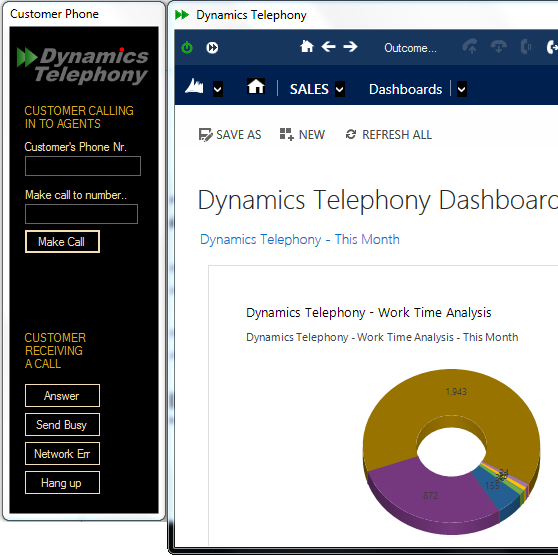 You can use SIP (phonecalls are via PC headset) or TAPI (phonecalls are via deskphone) on 3CX with Dynamics Telephony inbound and outbound dialer on Microsoft Dynamics 365. If you have your TAPI set up to only have one line per TAPI user, then you are done! Demonstration mode is for when you want to test or demonstrate Dynamics Telephony without the complication of connecting it to a telephone system. You can test all Dynamics Telephony features using this mode. 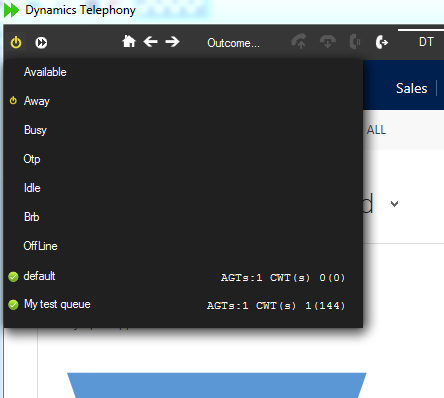 Using this “Customer Phone”, you can simulate a customer calling in to Dynamics Telephony using the “Make Call” button. Fill in their phone number first and you will see their record pop in Dynamics Telephony. Use the “Make call to number..” box to simulate DNIS calls. The first item on the list is Telephony Provider – pick Simulator from the list. 1. 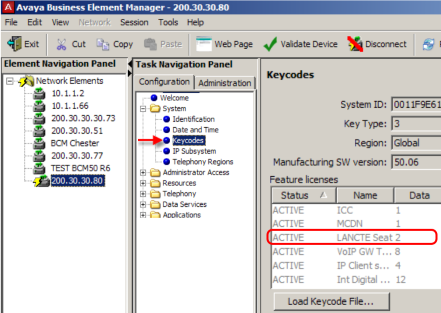 Check you have “LAN CTE” licences on your BCM. Start > Programs > Avaya ( or Nortel ) > Business Communication manager > Business Element Manager. 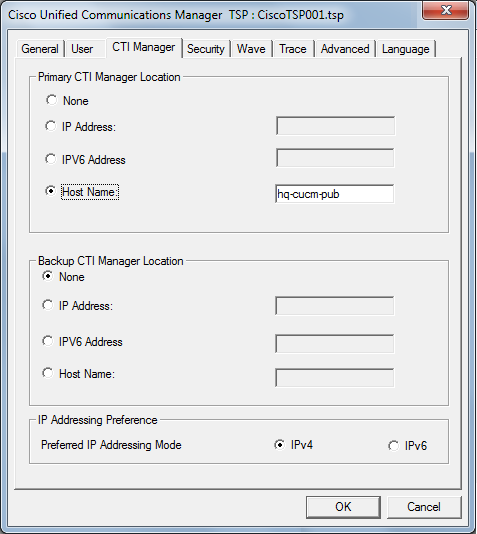 In Network Elements, select the IP address of your BCM, enter credentials and click Connect. For more information on keycodes, see this document from Avaya. LAN CTE is the interface between your PC and your BCM Telephone system. LAN CTE includes a TAPI Driver that Dynamics Telephony uses to monitor and control your BCM telephone. Follow the comprehensive instructions in this document from Avaya. These are for BCM R6, but should be similar for other versions. Dynamics Telephony supports one TAPI DN (BCM extension phone number). Make a note of the DN for the next step. 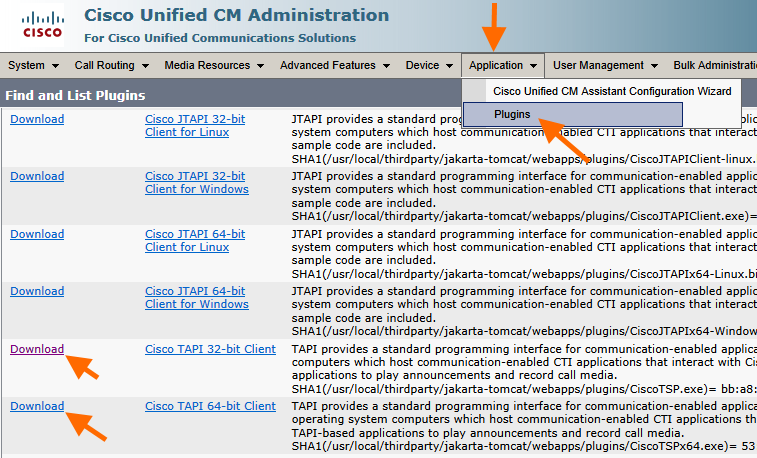 This is an overview of the installation and testing of TAPI for Cisco Call Manager sites. This is required on each agent PC. 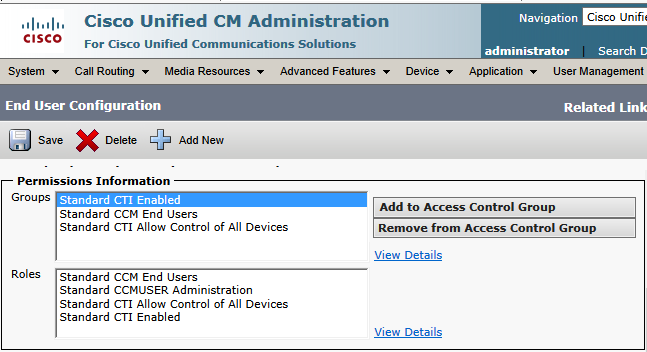 a) Check the “Enable CTI Control” checkbox for the user. 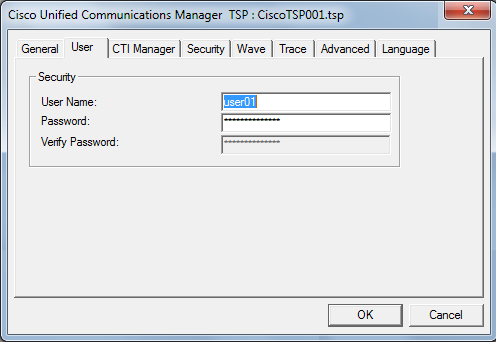 b) Set the Access Control Group for the user to CTI Enabled etc. Read the CUCM help. YOU MUST RESTART YOUR PC AFTER EVERY CHANGE ON THE CLIENT – e.g. even if you re-enter the password. – You only need the licence-free TAPILink Lite. It is the same installer as Pro, but you use “Single User Mode”, NOT “Third Party Mode”. 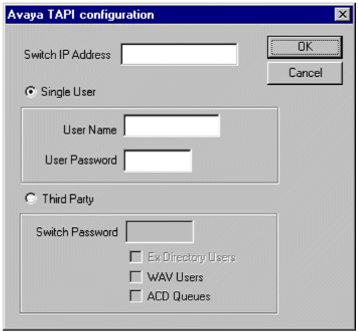 – The user and password is the username you use to logon to Avaya softphone. – DevLink is not required. – NOTE: Generally, you need to restart Windows for any TAPI configuration change, including simple password changes. NOTE: you should configure all users that will be controlled as an off-hook station. This will cause the user’s phone to return to the idle state when a call is hung up using TAPI. Without this option set, the phone will remain in a disconnected state until the phone is hung up manually. The off-hook station check box can be found on the Telephony tab of the User’s setting in Manager. 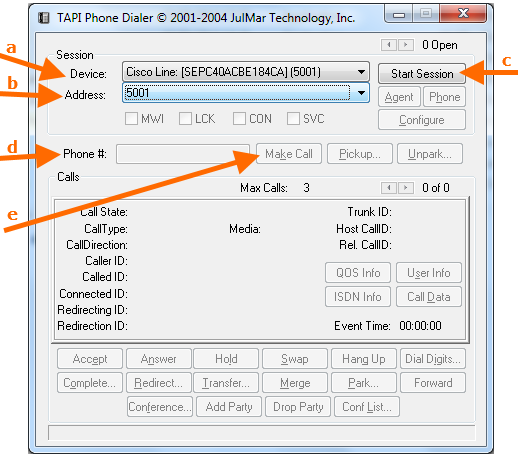 You can configure the TAPI Driver in the Advanced tab of the Phone & Modem control panel. 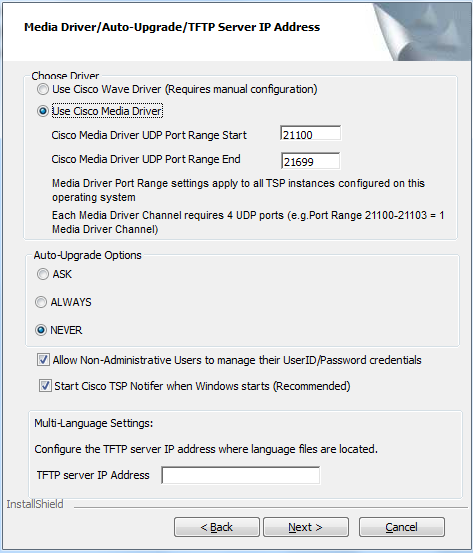 – Provider Account: Set the DN to your extension number. NOTE you can leave this blank if there is only one TAPI line available on your machine.